The first thing I had to do after settling in was buy a phone. Apparently there was no reasonable way to adapt mine to be used abroad. This, of course, was before I had my beloved Iphone. 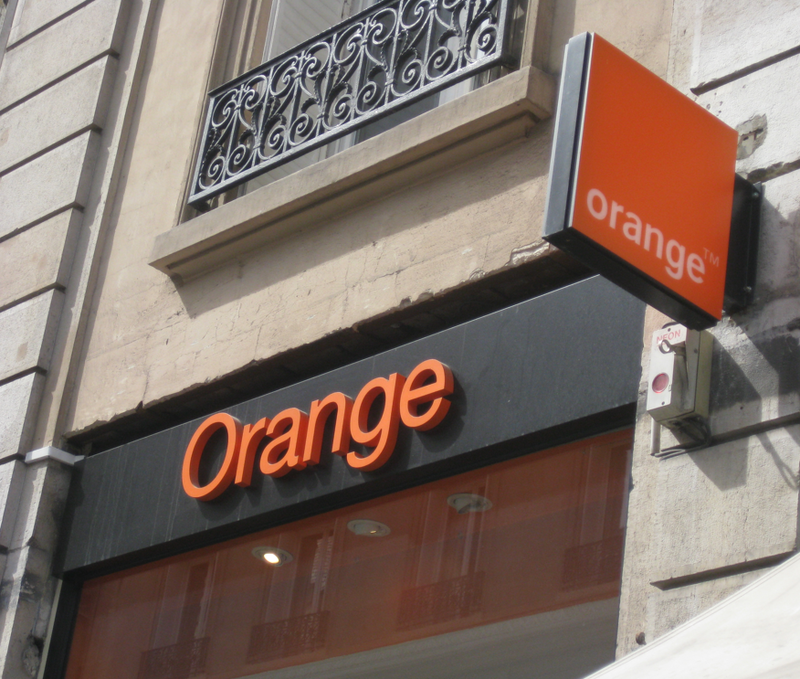 They use a completely different system in Europe so even global plans can have issues with data and roaming charges. 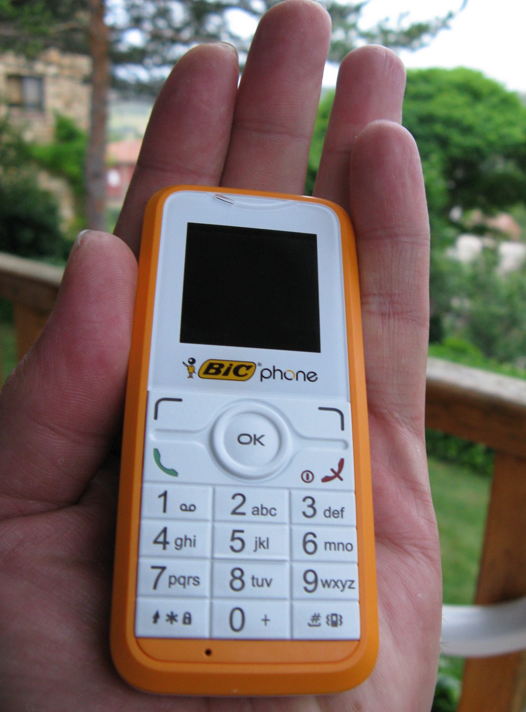 The consensus was to buy a local phone that worked on a SIM card. On a suggestion from a fellow traveler, I went to the post office to get one. So weird. Had to stop several Barcelonians to help me find my way...99% were super friendly and even the ones who didn't speak a lick of English tried to help and apologized if they couldn't. 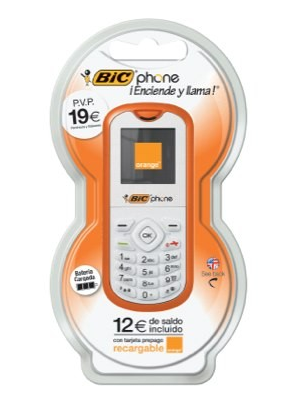 Found the post office and the challenge continued - I don't think anyone in there spoke English - but somehow I walked out with my pay-as-you-go, itty bitty Bic phone...yup, Bic, the same company that makes disposable razors. Bizarro. Took everything but a chainsaw and blowtorch to get the plastic off, but once I got there, it worked. I could refill my minutes at any Orange store, their equivalent to Verizon or AT&T...or at most news stands. Pretty cool. Of course, the first call I made was to my mother to tell her I hadn't been kidnapped by human traffickers. She tried to get me to watch Hostel and Taken before I left, two movies about travelers who get tortured, kidnapped or killed abroad. No thanks mom. The second call was to an old high school friend. A few weeks before leaving, I reached out to her on Facebook. I knew she was living in Barcelona with her fiance while he finished international business school. We agreed to meet up later in the week and it was really comforting knowing she was there. Doesn't matter who it is or how long it's been, when you're traveling to foreign places, anyone you know becomes a lifeline. That first night in Barcelona was awesome. On a recommendation, I went to dinner at a warm, cozy place not far from the hostel. It was great just to sit there, sip my Spanish wine and take in the fact that I was really there. 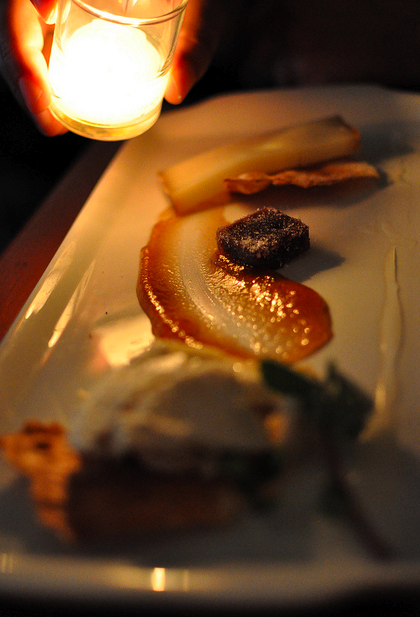 The waiter recommended a cheese plate with fig spread and honey...amazing! Never made the connection before but I now drizzle honey on cheese all the time. So damn good. When I got back to the hostel, I met a few travelers hanging in the entrance area and made some fast friends. Great people, most traveling alone...pretty reassuring to know I was among like-minded people. Bonds form quickly between travelers. There's an unspoken rule of camaraderie. Besides being a melting pot of different people from different places, hostels are wells of information. You get the inside track on where to go, what to do, and what might not be worth your time, just by listening to other travelers sharing their stories. 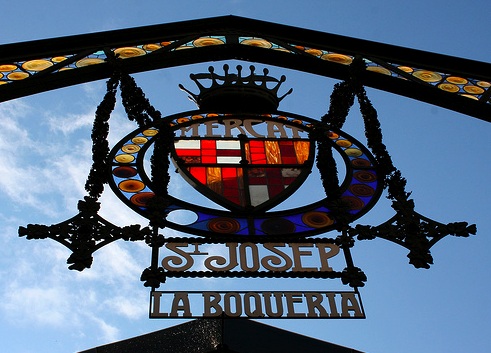 When the beer and wine were all gone, a few of us agreed to meet the next morning to go to La Boqueria, the most famous market in Spain and one of my favorite places on the trip. 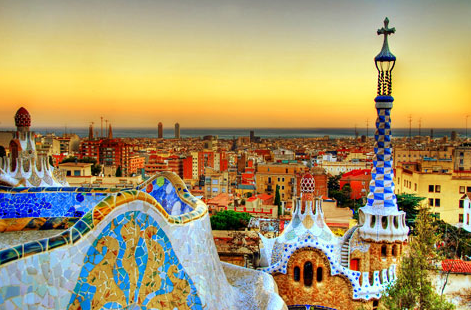 After that, we'd spend the day at Le Parc Guell, one of Antoni Gaudi's masterpieces. 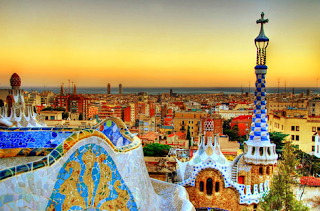 I didn't know anything about Gaudi before Barcelona except that he was an eccentric artist. It's one of the most enchanting parks in the world and part of the UNESCO World Heritage List.